After Black Sabbath finished its year-long “The End” tour in Birmingham on February 4th, it was assumed by many that it would be the last time that the band would be together. However, Tony Iommi has now stated that he would be open to a one-off concert or even recording new material with his former bandmates. Iommi had been diagnosed with cancer in 2011 and the band reunited with the idea that this would be their last major tour. Because of Iommi’s cancer which is now in remission, he simply did not have the strength to be on tour for extended periods of time. However, in a recent interview on Planet Rock, a UK radio station, Iommi said that he was going to miss being on-stage and looked forward to perhaps reuniting with Black Sabbath for a single show, perhaps at an event or even recording new songs with his former bandmates. Black Sabbath formed in 1969 with Tony Iommi on guitar, Ozzy Osbourne on lead vocals, Bill Ward on drums, and Geezer Butler on bass. With few exceptions, the original group remained together through 1978 and then broke up only to reform and tour on various occasions in the 1990s and 2000s. The band last regrouped in 2011, although Ward had to drop out after only a few months. Since then, Tommy Clufetos who has drummed for Ozzy Osbourne filled in for the tour. In 2013, Black Sabbath released their latest album “13” with Brad Wilk on the drums. When asked if “The End” tour was truly the last of Black Sabbath, Iommi stated that that perhaps fans have not seen the end after all. However, his statements seemed to be more along the lines of keeping his options open and not any definite plans that Black Sabbath has made. It also should be noted that the tour just ended and there has been little time for rest and reflection which means that Black Sabbath fans may not want to hold their breath expecting a new album or concert event anytime soon. In the meantime, Iommi is looking ahead to discovering new chapters in his already remarkable life. Right now, he’s taking the time off for rest and reflection, but he is also looking at several offers on the table which may occupy his time for the foreseeable future. Whether he takes any of the offers currently available will be up to him and his health. 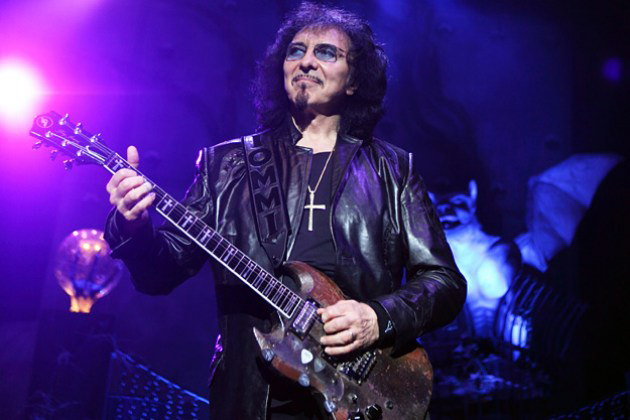 However, with his cancer currently in remission and his energy returning, Iommi has the option to take on different challenges if they do not consume the time and effort of a long tour. It also may be a while before Black Sabbath can do anything together at this point. While Iommi and Geezer Butler have not announced any plans for the immediate future, Ozzy Osbourne is currently working on a new album and is scheduled to do a few shows this summer. So, any plans for a Black Sabbath reunion will probably have to wait at least a year.